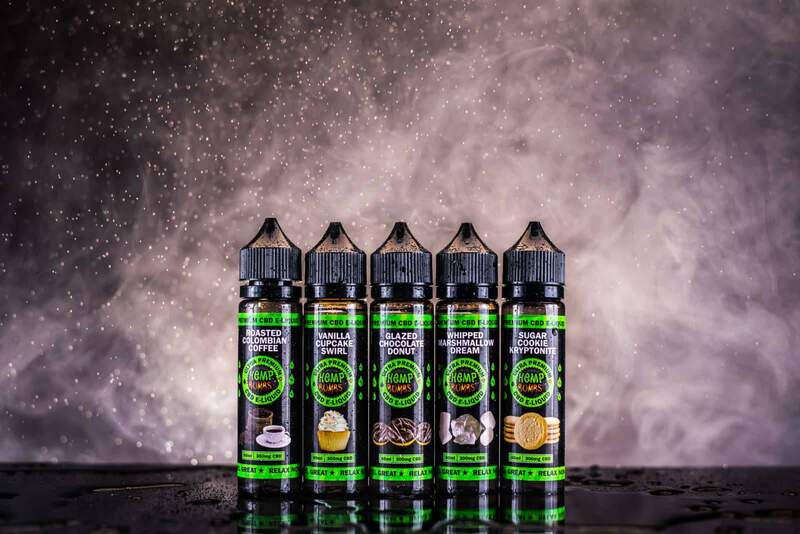 Hemp Bombs High-Strength CBD vape juice is designed to give you the benefits of CBD at the highest possible level. If you’ve tried lower strength products without result, you owe it to yourself to step up to the big leagues with this 4000mg product. It always makes me both excited and leery when a company I like comes out with something new. When a company keeps makes things you enjoy, you can’t help but look forward to the next awesome thing. At the same time, you wonder if how they can continue to live up to the mark. When I found out Hemp Bombs had not only introduced a new, higher potency of CBD I was eager to try it and when I found out I would have the opportunity to review it, I knew I was in for something special. Hemp Bombs continues to deliver a solid, strong CBD – in a fascinating variety of amazing flavors. So far I’ve been wowed by Hemp Bombs in 75mg and 200 mg. Hemp Bombs took a giant leap and introduced 1,000 mg, 2,000 mg and a whopping 4,000 mg CBD. Each of these new CBD levels comes in Hemp Bombs 10 flavors: Sugar Cookie Kryptonite, Arctic Spearmint Blast, Farm Fresh Strawberry Milk, Whipped Marshmallow Dream, Glazed Chocolate Donut, Vanilla Cupcake Swirl, Crisp Honeydew Melon, Exotic Watermelon Kush, Roasted Columbian Coffee and Wild Blueberry Jam. A note about Hemp Bombs flavors – check out my previous reviews. I’ve talked about almost all of these flavors. Bottom line on flavors, when it comes to Hemp Bombs, they do not disappoint in flavor. What they on the bottle is what you get. Rich and strong. I haven’t tried a Hemp Bomb flavor yet that did not live up to it’s name. Time after time I’ve been impressed. Let’s start small with the 1,000 mg CBD. I was sent the flavor Whipped Marshmallow Dream. And its truly a dreamy flavor. I’ve used 1,000 mg CBD in the past in other brands. Some, I’ve seen success with, others I’ve seen so change with. By this, I mean how whether or not the CBD helps with my anxiety and chronic pain. And, like anything else, some CBD oil companies make a better product than others. I’ve found Hemp Bombs 200 mg CBD to be better than other companies 1,000 mg. Which says a lot for Hemp Bombs. Now, how does Hemp Bombs 1,000 mg CBD compare? It’s off the charts. While I didn’t see myself necessarily feeling any greater relief to my symptoms, I did find that I wasn’t reaching for my CBD tank as often during the day. To me, that speaks volumes. Like many CBD users, I keep a dedicated tank with only CBD. I’ve tried tank additives, to put it into a regular e-juice tank, but I don’t care for that. Especially when you can get it in amazing flavors like Hemp Bombs offers. To not use as much was wonderful, especially since a higher mg of CBD means a higher price point. Hemp Bombs 1,000 mg CBD comes in a 60 ml bottle for $99.99. Now, don’t get scared, CBD lasts and lasts. You don’t use CBD like you regularly vape, you may only hit it a few times a day. You won’t be constantly filling your tank like you do when you just vape nicotine juice. So, that’s 60 ml bottle is gonna last you quite a while. Now, let’s talk Hemp Bombs 2,000 mg CBD. They sent me Glazed Chocolate Donut, and let me tell you, it’s just as good as it sounds. Yummy and nummy. I don’t remember ever trying any CBD over 1,000 mg so I was a little scared to jump up to 2,000 mg. But, after the 1,000 mg, I was ready to go. Now, keep in mind, I allow several days at each level, to get a good gauge of it before I try a different level. When it was time to try these higher potency levels, I took a three days off between moving up, so that I could kind of reset physically, to get an accurate feel for what each level offered for my symptoms. By the time I popped open the 2,000 mg, I was ready to go. At first, I honestly did not see much difference between the 1,000 mg and the 2,000. Just when I was started to get disappointed, at about halfway through day two, I noticed my tank level. I always mark my tank, so I can tell how much I’ve used, and over what period of time. I had used very little, and I was feeling pretty good. I guess with the craziness of life, I had not noticed how little I was grabbing my CBD tank. Not only was the Hemp Bombs 2,000 mg level keeping me steady, I seemed to be maintaining the anxiety and pain for longer periods, even than the 1,000 mg. Score, score and score! Hemp Bombs 2,000 mg CBD sells for $169.99 for a 60 ml bottle. Again, keep in mind, 60 ml is going to last for quite a while, especially if you are using less of it. So, already I’m falling in love with the higher levels and I wanted to give the Big Daddy 4,000 mg level a really tough test. Not only had I not used any CBD for three days, my father-in-law was in town and my 4-year-old had the flu. Can you say over-stressed, over-worked, non-existent sleep and a constant desire to strangle a certain someone? Enter Hemp Bombs 4,000 mg Farm Fresh Strawberry Milk. Did it calm my anxiety? Heck yeah. Did it ease my aching body? So very much. Did it soften the urge to holler at a certain someone? Thank goodness yes. Hemp Bombs 4,000 mg CBD is amazing, especially when things are super sucky (maybe that’s just in my world). It goes above and beyond and lasts, which is about as good as it can get. I don’t know that I would use the 4,000 mg on a daily basis, not when 2,000 mg does the trick for me, but I do know that I will always have a 4,000 mg bottle on hand for the really sucky times. Now, let me talk on that for a moment. Remember, everyone is different, when it comes to CBD, 2,000 mg might be the daily sweet spot for me, but that doesn’t mean it will be for you. You may have to mix it up, try different levels, to find out what works best for you. If you haven’t tried CBD, I totally recommend Hemp Bombs and if you’ve tried other companies without success, I totally recommend Hemp Bombs. They offer an awesome product, in awesome flavors and a huge variety of CBD levels. Really, something for everyone. Now, the big daddy of them all, the 4,000 mg doesn’t come cheap. Hemp Bombs sells the 4,000 mg CBD for $299.99 for a 120 ml bottle. I’m by nature cheap, but I can tell you, for this product, I would happily pay 300 smackeroos for this product. I was able to breathe, relax, find some inner peace and my body did not feel like someone was ripping it apart from the inside. At any time that I don’t feel 2,000 mg is cutting it – when its a sucky time – I can reach for the 4,000 mg and get what I need. The saying “you get what you pay for” isn’t always true these days. Goodness knows I’ve paid good money for junk before ( i.e. the piece of crap computer I’m attempting to type this on). But, Hemp Bombs continues to deliver what it promises. The best place to buy Hemp Bombs high concentration CBD juice is directly from the Hemp Bombs website. Want to see how Hemp Bombs stacks up to the competition? Read our list of the best CBD oils, vape pens, edibles, and pet treats. Next articleNicotine Salts: Fad or Future?